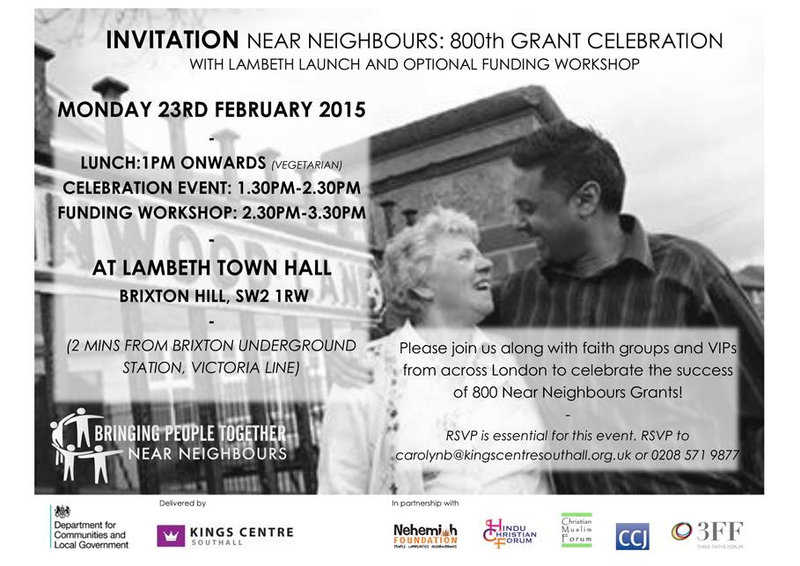 Monday 23 February 1pm – 3.30pm Near Neighbours Programme celebration event and funding workshop at Lambeth Town Hall, Brixton Hill, SW2 1RW (Brixton tube). Click the picture to enlarge. 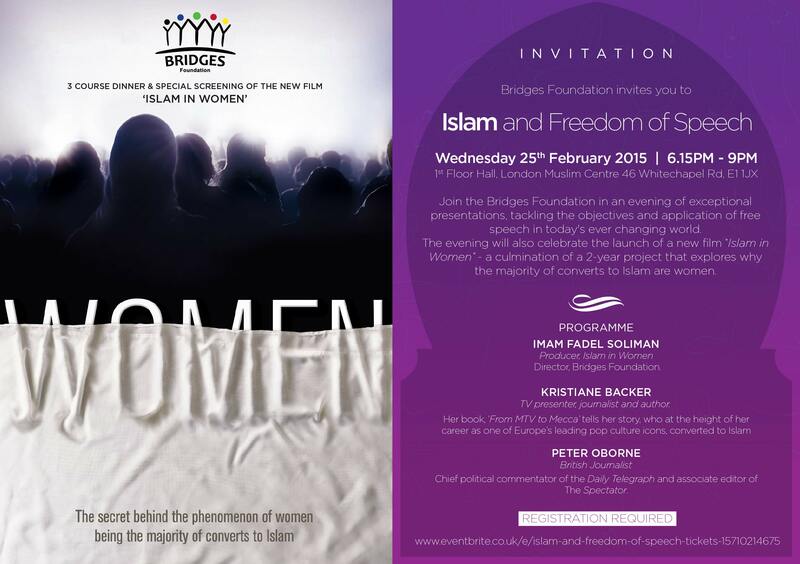 Wednesday 25 February 6.15pm – 9pm Bridges Foundation film “Islam in Women” with dinner at London Muslim Centre, 46 Whitechapel Road, E1 1JX, with speakers on Islam and Freedom of Speech, including Kristiane Backer, Imam Fadel So liman and Peter Oborne. Register here. Brixton SW2 1JF. More information here. LBFN will be circulating guidelines for organising hustings soon. Thursday 26 February 12.30pm – 2pm South London Inter Faith Group lunch meeting at Streatham Friends Meeting House, Redlands Way, Roupell Park Estate, Brixton Hill, SW2 3LU. 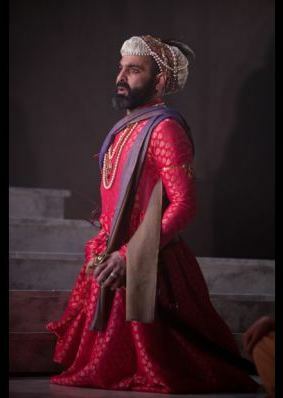 Now until 4 April Dara at the National Theatre, South Bank, London, SE1 9PX. A play adapted by Tanya Ronder from Shahid Nadeem’s play originally performed by Ajoka Theatre, Pakistan. LBFN’s Olympic Truce project visited Ajoka Theatre in Lahore in 2013. We have been offered a reduction in ticket prices by Anwar Akhtar of The Samosa – let LBFN know if you are interested. A group visit is being arranged. Further information here. Sunday 1 March 7-9pm Climate Change Supper at Collaboration House, 77 Charlotte St, W1T 4PW. 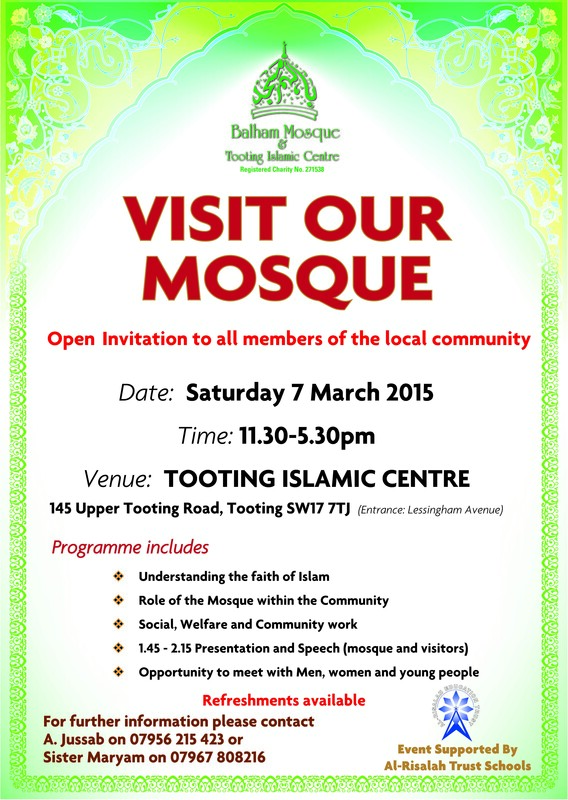 Saturday 7 March 11.30am – 5.30pm Tooting Islamic Centre Open Day. Visit Our Mosque, 145 Upper Tooting Road, SW17 7TJ, with presentations at 1.45pm – 2.15pm. Wednesday 11 March 4pm – 5pm Westminster Cathedral Interfaith Group with Stefan Byron on yoga at the Hinsley Room, Morpeth Terrace, Victoria. Thursday 12 March 12pm – 2pm Department of Spiritual Health Care Chaplaincy Annual Community Meeting at The Burrell Street Auditorium, 4- 5 Bankside, SE1 OUN. Download the flyer. Thursday 12 March 6.30pm – 7.30pm followed by reception at JW3, 341-351 Finchley Road, NW3 6ET. Faith and Fashion on the School Run. To discuss what constitutes today’s school wardrobe, Professor Reina Lewis of London College of Fashion brings her Faith and Fashion series to JW3 to ask teachers, parents, and students if and how what they wear can cross the school gate. RSVP essential. 26-27 March in Brussels European Network on Religion & Belief with ILGA-Europe Equality for All! Exploring some of the key discrimination issues facing LGBT and Religion and Belief-based communities, such as employment, health, education and access to goods and services. Download the programme.